✔ We want to help you to relax and protect your eyes! When you are reading books and papers without glasses there could be lots of tiny letters. Why not use magnifying to enjoy it? ✔3 LED lights, high brightness and durable, can be used in dark environment，not subject to environmental restrictions. Ideal for usage at home, office and travel. Use anywhere in any situation, especially for inspecting your hobbies such as coins, stamps, etc. ✔Crystal Clear: Everything will be presented through a super clear glass making everyday life much easier. Stop the squinting and struggling and purchase yours now! 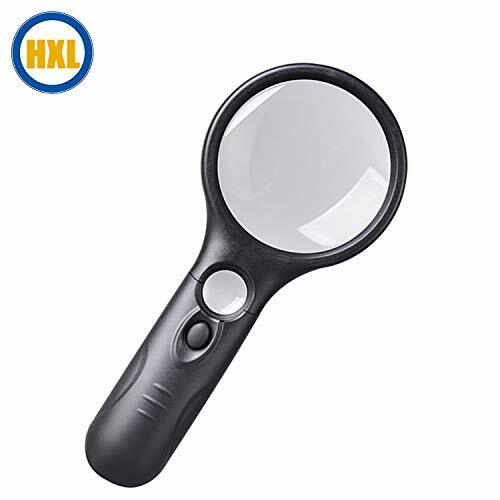 When you read important documents, interesting articles or looking at anything fascinating, this magnifying glass is the quintessential accessory! ✔After-sale Service: We make every effort to provide quality services. Please contact us if there\'s any question.